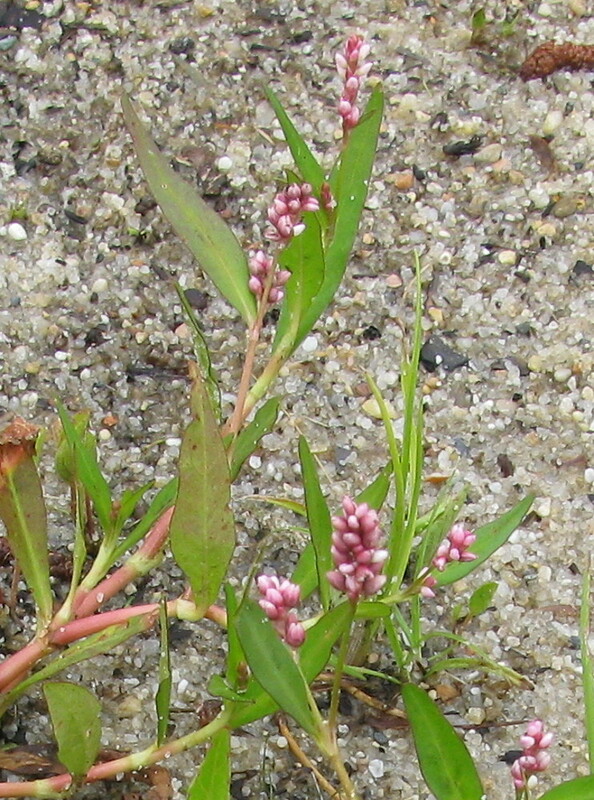 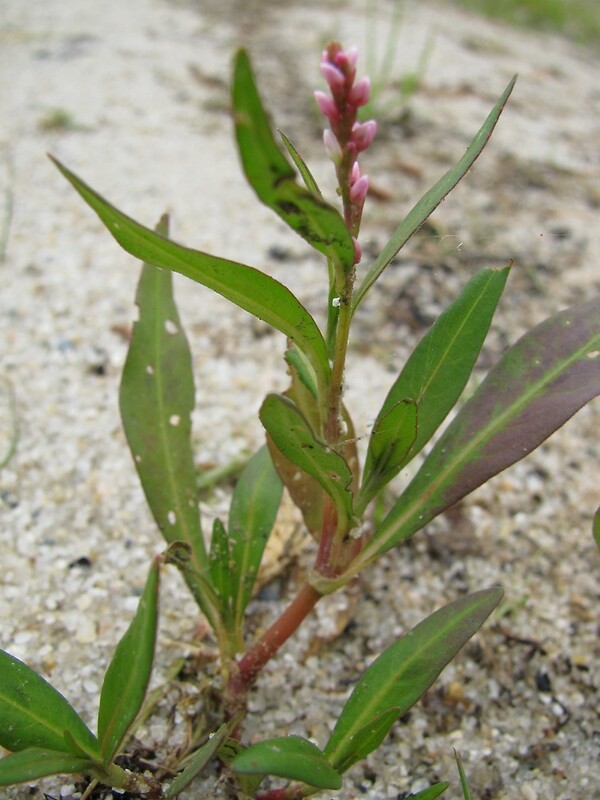 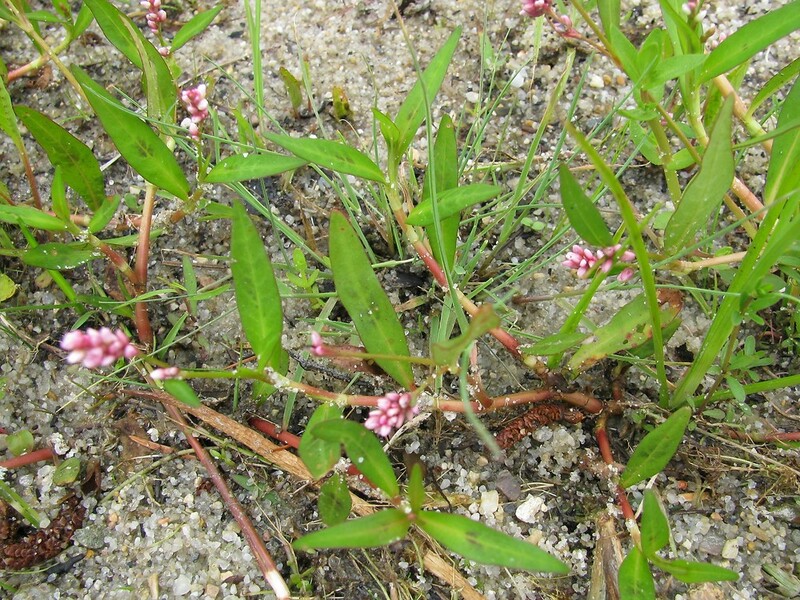 Puritan smartweed is a rare plant of coastal plain pond shores in Maine, Massachusetts and Rhode Island. 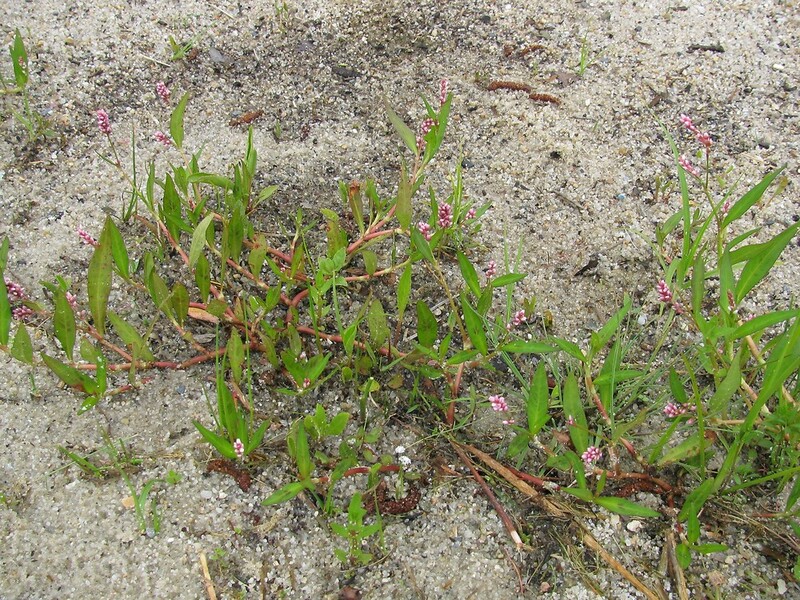 This trailing annual grows up to 2 feet (60 cm) tall, with narrow, nearly sessile leaves, which unlike those of the more common P. maculosa, do not have a dark chevron pattern on their surfaces. 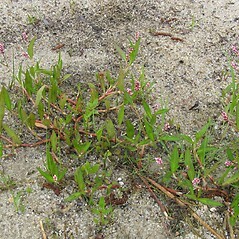 It produces pink flowers from mid-summer to fall, and small (2mm) black, shiny seeds. 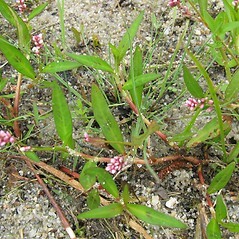 It needs open but undisturbed soil on the upper pond shore, and is vulnerable to trampling by people. 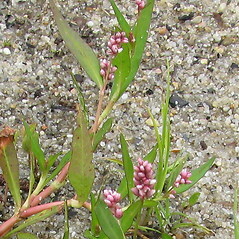 inflorescence loose and usually interrupted in the basal portion, 2–4 mm wide, and leaf blades linear to narrow-lanceolate, mostly 4–10 mm wide (vs. P. puritanorum, with the inflorescence dense, usually uninterrupted, 4–7 mm wide, and leaf blades lanceolate, mostly 7–16 mm wide). 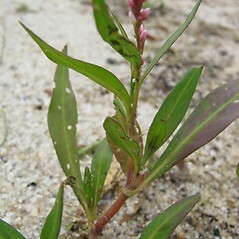 inflorescence 6–12 mm wide, obloid to short-cylindrical, tepals 2–3 mm long at anthesis, enlarging in fruit and then up to 4 mm long, prominently, but minutely, patterned with a raised reticulum near the base, and leaf blades commonly with a purple blotch on the adaxial surface (vs. P. puritanorum, with the inflorescence 4–7 mm wide, cylindrical to subconical, tepals 1.8–2 mm long at anthesis, enlarging in fruit and then up to 2.6 mm long, faintly reticulate-patterned, if at all, near the base, and leaf blades usually unblotched).